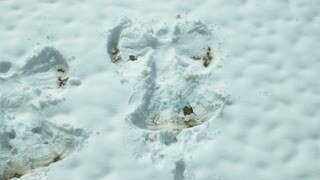 Search Results for "snow angels"
A little girl makes snow angels in snow. Top view. 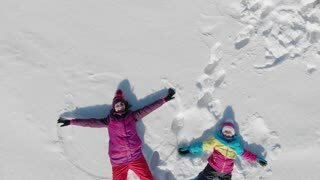 Two girls make snow angels in winter snow. 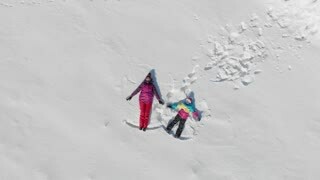 Two snow angels in a snow covered area. Aerial footage. Making snow angels in the snow on a frozen lake outside during the winer. Snow angels in the snow on a sunny day. CHERKASY REGION, UKRAINE, DECEMBER 25, 2018: aero, view from above. winter, frosty, snowy, sunny day. mother and son are lying in the snow, waving their hands, making snow angels. 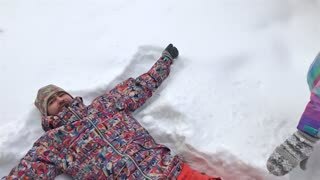 Young cheerful woman is lying on snow and is making snow angels. Slow motion. Aerial view with rotation.